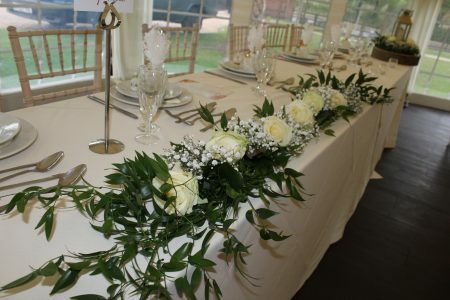 Who doesn’t love the smell of fresh flowers… At the end of last month our team were over at the lovely Shearsby Bath to supply decor for a stunning wedding! The bride and groom to be in first got in contact with our team at the start of 2017, and have been an absolute pleasure to work with from the very first meeting. Our team arrived at the venue on the morning of the big day to set out everything from the table centres to the light up letters. In total there was 26 stunning gold lanterns used on the big day, all set out around the venue. 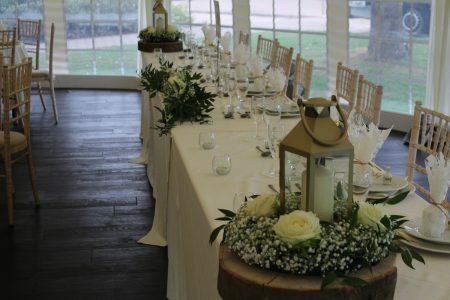 The majority were laid out on the guests main tables, with the rest placed at the entrance of the room and on the memorial and guestbook tables. 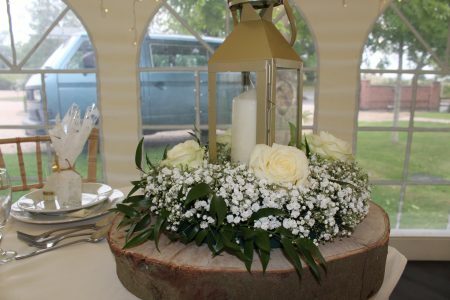 Each lantern sat on a natural wooden log base, with a ring of gypsophila and avalanche roses which completed the beautiful look. 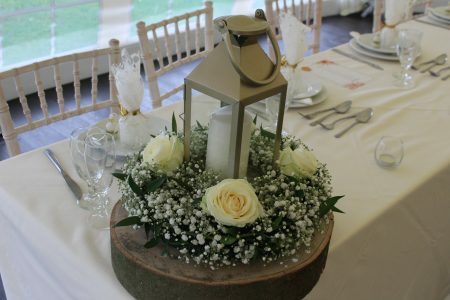 In addition to the table centres out team also designed a floral top table display to be laid infront of the bride and groom for their reception. 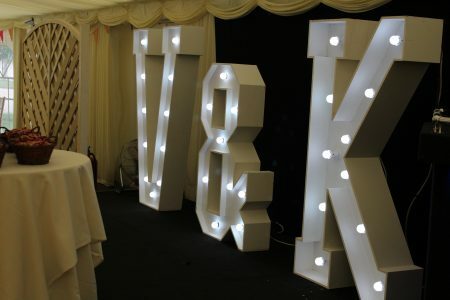 The finishing touch for the set up was our V & K light up letters which added a very personal and unique feel to the room. Are you planning your big day? If you’re planning your wedding or special event please don’t hesitate to get in touch for your free online quotation. Our experienced team have supplied venue decoration for events of all sizes in Leicester and the UK including; Coventry, Derby, Northampton, Nottingham, Birmingham & London. You can give us a call on 0116 2885956 or alternatively you can email us on info@solidstateuk.co.uk. About to start an event like Wedding at Shearsby Bath?